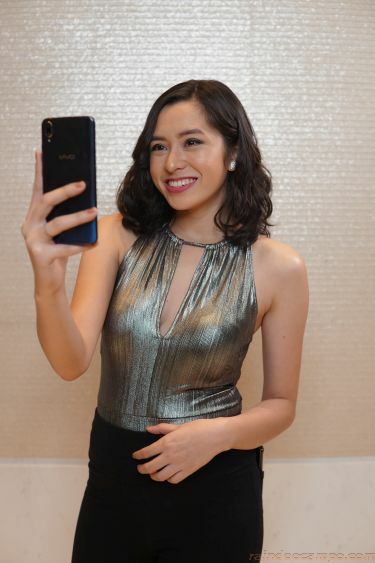 Vivo’s latest revolutionary breakthrough, the Vivo V11, is a testament to the brand’s relentless vision to produce the most sought-after modern phone. Not only is it armed with sophisticated technical specs and functionality, it also bears a sleek and cool design that is undeniably compatible with today’s fashion. Its ultra-thin 1.76mm side bezels, paired with its 3D curved body design, provide maximum grip and comfort as you go through your daily activities in style. What makes the phone utterly fashionable is its brilliant fusion colors: The Starry Night and Nebula. Starry Night’s blend of black and blue and Nebula’s stunning blue and purple hues invoke glistening stars in distant galaxies that heighten the futuristic design of V11. These brilliant fusion colors can reflect a person’s flair for standing out and exuding elegance. You can pre-order the Vivo V11 in two ways: On ground and online. It is available in all participating Vivo concept and multi-brand stores. It will come with exciting freebies—a gift set (bluetooth speaker and earpiece with selfie stick), as well as 6 months extended warranty. The new Vivo V11 is indeed a pioneering product that merges design and technology for a more personalized user experience.